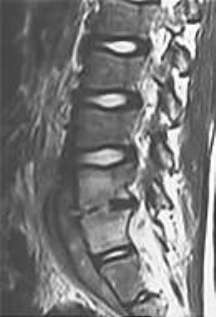 The earliest radiographic finding is loss of normal lumbar lordosis, followed by disc space narrowing and endplate erosion. 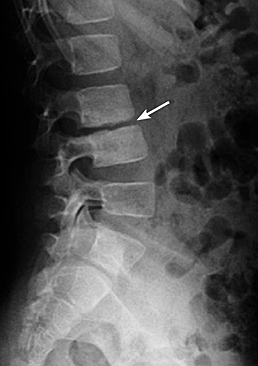 The earliest radiographic finding is disc space narrowing, followed by endplate erosion and loss or normal lumbar lordosis. 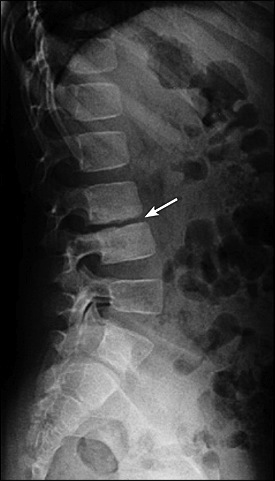 The earliest radiographic finding is endplate erosion, followed by disc space narrowing and loss or normal lumbar lordosis. The earliest radiographic finding is scalloping of the inferior endplate, followed by disc space narrowing and endplate erosion. The earliest radiographic finding is vertebra magna, followed by disc space narrowing and endplate erosion.